I know what I said in a previous post about the England manager’s position so by all means string me up as a hypocrite but I want to say this: I’m not a fan of Harry Redknapp. I’ve never been a fan of Harry Redknapp. I said what I said at the end of the last article about giving him the job because I thought that the weight behind him was too strong to stop his appointment but happily this has not proven to be the case. Instead we see Roy Hodgson signing a four-year deal. This is news, I think, which should be welcomed by all right-thinking football fans but of course it isn’t. The media hostility towards Hodgson has already built up to the point that his press-conference yesterday can already be best summarised as him answering the question of “why aren’t you Harry Redknapp?” over and over again. Not only is this line of questioning tedious but it is also silly and shows our media’s (and public’s) continued refusal to stare the bald facts in the face and admit that England’s players aren’t actually that good and that Redknapp’s managerial record is hardly amazing either. But first let’s look at the records of the two managers. This shouldn’t take too long because there really is no contest. Roy Hodgson has managed sixteen teams in eight countries over the course of a career lasting thirty-six years, Redknapp has managed five teams in England over twenty-nine years. Hodgson has, over that time, won thirteen trophies and Redknapp five (and that’s only if you include Division Three and a Division One titles with Bournemouth and Portsmouth respectively and the Intertoto Cup with West Ham in 1999, which isn’t actually a tournament). We could also discount Redknapp’s FA Cup win with Portsmouth in 2008 as unworthy of consideration because it was won in a final against lower-league Cardiff (notwithstanding a lucky victory against Man Utd. in the semi-finals) and with a team bought with money Portsmouth didn’t have. 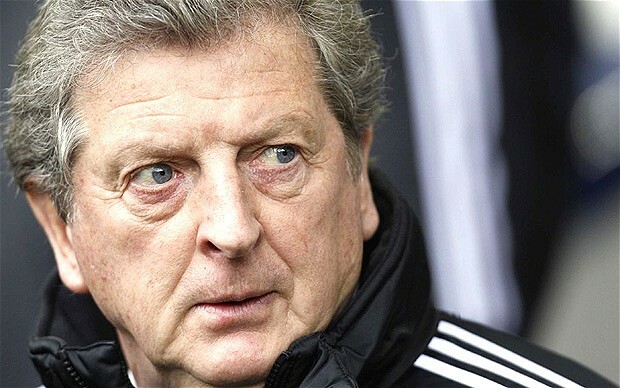 Hodgson’s other achievements include getting the Swiss national team to the last-16 of the 1994 World Cup (which England didn’t qualify for incidentally) and, famously, taking Fulham to the final of the UEFA Cup in 2010, where they lost to Athletico Madrid in extra time, a run which also included famous victories against Juventus and Hamburg. Furthermore, since he left Switzerland the academy system he set up there has been credited with bringing through many talented young Swiss players. The only thing Redknapp has done which I consider even close to that in terms of upsetting the odds is when he won promotion to the Premiership in 2002/03 with an unfancied Portsmouth team (which is undeniably impressive). Redknapp has had his most consistent success with Portsmouth, where for the most part he was spending beyond his means on players who weren’t always that good. The only time we see that kind of ‘wheeler-dealer ’Arry’ style for which he’s so famour is in the 2006/07 season where he bought in thirteen players for only £1.3 million but either side of that we have huge splurges of cash (£20.4 million in 2008/09 and £37.6 million in 2007/08). And look where that spending has got Portsmouth now. Of course, as England manager Redknapp would not have had to balance financial books but the whole experience doesn’t say much for his grasp of the big picture or, indeed, his ability to spot a player. For every Sol Campbell who has played well there’s been a Ognjen Koroman who has seriously underperformed. Redkanpp’s reputation as a great picker of players is based on people casually name-checking his successes and not noticing that, generally speaking, he tends to buy a large volume of players, the majority of whom don’t do anything special. I’m not going to say that Hodgson’s signings have all been undiluted successes, nor has he done as well everywhere he’s been as he has done at other clubs. Certainly not. But what I am trying to say is that the guff surrounding Redknapp is, just that, guff. His popularity with the sports writers derives not from a consistent period of success in different countries with small clubs over a long period of time but rather the fact that he basically tells these sports writers what they want to hear. I’m sure he’s probably an easy guy to get along with but that hardly qualifies him to manage England. Again, it comes back to results and I just don’t think Redknapp has ever done particularly well outside of his two times at Portsmouth. Sure his Spurs team are near the top of the table but they’re in danger of losing out in the Champions League and, let us not forget, they had got to three fifth place finishes in a row under Martin Jol so it’s not as if he was starting out with a team of relegation candidates. “But what about his time at Liverpool?” cry Hodgson’s naysayers, and with some justification. I don’t particularly wish to defend his six months there but I would point out that he was working under a far more constrained budget than Kenny Dalglish has been (Dalglish has spent an estimated £115 million on nine players since he took over). In any event, Dalglish’s time has not seen, beyond an underwhelming Carling Cup victory against Cardiff and an upcoming FA Cup final against Chelsea, a marked recovery in league position. They remain much as they were when Rafa Benitez departed: an upper-mid-table team with good fans and a big history. Besides, to judge Hodgson on six months in a career with has lasted almost four decades seems to be more than a bit harsh. But do I think Hodgson is going to get the four years in charge which he clearly deserves/needs? No. The knives are already out for him and when England predictably do badly at this summer’s European Championships (there is a decent chance they won’t get out of the group and no chance at all that they’ll win it) all the sports writers will sharpen their pens and, with no evidence whatsoever, claim that everything will have been alright if Harry Redknapp had been manager. You could hear it all weekend on the radio as, one by one, various journalists had to glumly admit that their golden boy wasn’t going to be the next manager. It was depressing not just because of the way they fawned over Redknapp but also because of the predictability of what is going to come. It will be as it was with Capello; suddenly it is going to become the manager’s fault that his team can’t put together simple passing moves or defend long balls over the top. I was thinking about this issue with some of my friends and came to the conclusion that, at most, there are three players in the probable England line-up who could reasonably be called ‘World Class’: Joe Hart, Ashley Cole and Wayne Rooney. English fans need to grow up and realise that this is not going to change by just a change of manager. I mean, this team would not win the Championships if Jesus Christ Himself came down from Heaven and guided the team to the finals after feats of glory and heroism unseen since the days of mythology (and He would still face criticism after the failure). Three years ago Stefan Szymanski and Simon Kuper published Why England Lose, a book which magnificently demonstrated that, if anything, England probably overachieves and, with the current crop of players, we’re not going to win anything any time soon. And this is the key point. Will England win Euro 2012 under Hodgson? No. Would they have won it under Redknapp? No. Will they win either of World Cup 2014 or Euro 2016 under either of those managers? Probably not but I think they stand an outside chance in the latter under Hodgson. If we have faith in Hodgson and let him install his vision for English football all the way from youth level up, then do England have a better chance of wining tournaments after 2016? Yes. And that is what fans and journalists need to keep in mind before they open their mouths and bleat pathetically for Redknapp.